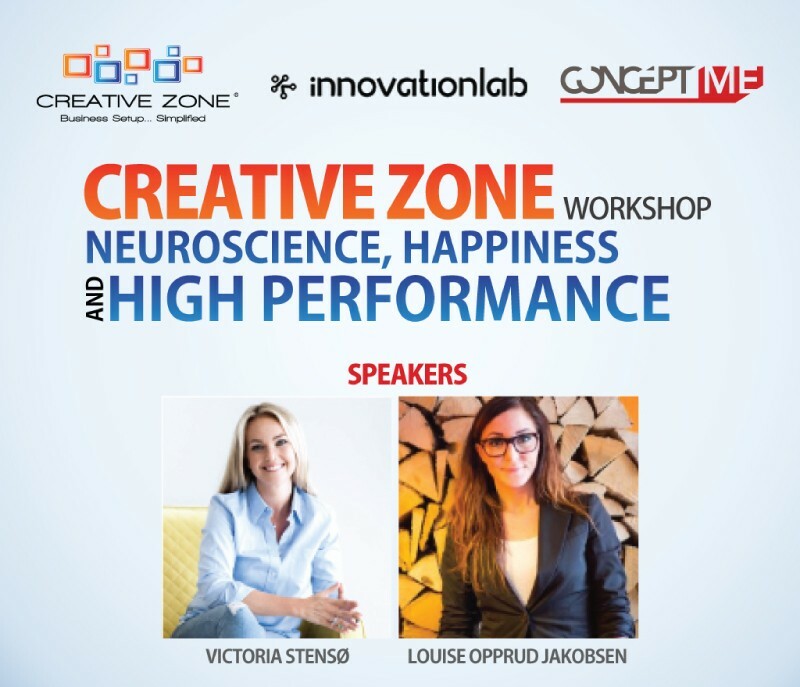 Victoria Stensø and Louise Jakobsen of Innovation Lab shared their expertise about Neuroscience, Happiness and High Performace at CONCEPT ME, a unique space experience embracing various project scales, from urban planning to architecture, from interior design to its details. The 2-hour introductory tour de force, was an essential session for companies wishing to innovate and raise team productivity. On September 20th, Innovation Lab – Scandinavia’s oldest innovation think tank, had a kickstart a series of workshops that culminates in a diploma course that you can partake in 2016 and 2017. Innovation Lab shared their experience in this field, including their work with International clients - and collaboration with Stanford University. CREATIVE ZONE is a team of company formation specialists who are a respected leader in the UAE business setup industry. Having successfully setup over 4,200 companies since their inception in 2010, CREATIVE ZONE understands and appreciates the challenges and concerns people are faced with when trying to incorporate a new company in a foreign country. CREATIVE ZONE not only specialize in the handling and processing of all company documentation (everything from trade licenses to residency visas) but they also provide a business support platform of the highest caliber to their clients, helping them start their businesses off on the right foot. CREATIVE ZONE's expertise lies in the establishment of Free Zone, Dubai LLC & Offshore companies which in turn, allows entrepreneurs and start-up companies to focus on what's most important; starting their business and making it a success!